Affordability is a major issue for many Canadians, especially those trying to buy a home in major cities. However, these properties – currently for sale and curated by online real estate company Point2Homes -- are in a class of unaffordability entirely their own. 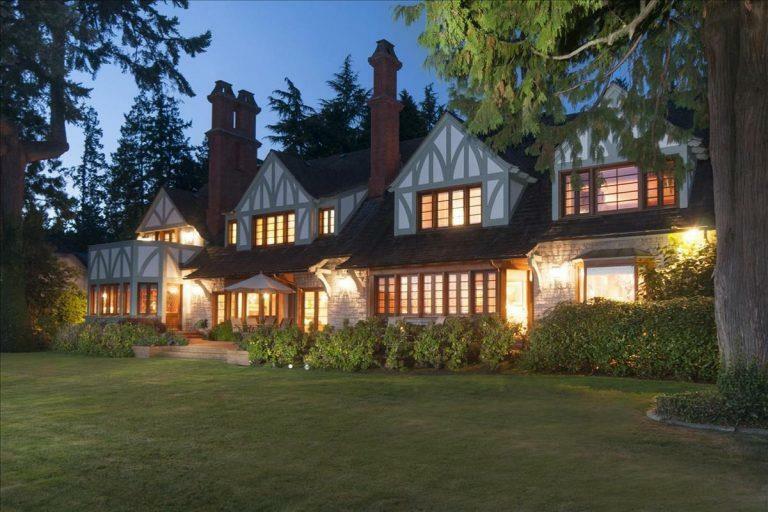 This 7 bedroom mansion in Vancouver offers oceanfront views of Stanley Park. It also boasts 10,000 square feet and its own private beach. This property offers views of the Gulf Islands, as well as its own private park and two golf greens on its 4.25 acres. Making our way east, we find our first property outside beautiful British Columbia. Nestled in the mountains, this 160 acre property offers everything an outdoorsman – and woman – would want. For those who prefer the indoors, the sprawling home contains a music conservatory (for the young, budding Beethoven, naturally), a two-storey library, and an indoor pool. Unsurprisingly we’re back in BC, which is home to this five bedroom Tuscan-like villa. While it may not have its own winery, it does offer ponds, gardens, a swimming pool, and a tennis court. 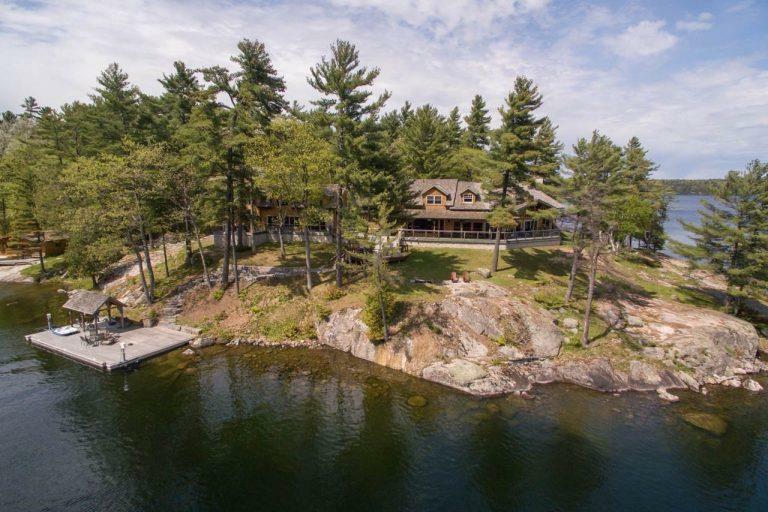 This a dream-worthy cottage on Lake Joseph has its own bar. But who needs a beer when you can crack a cold beer on that dock? 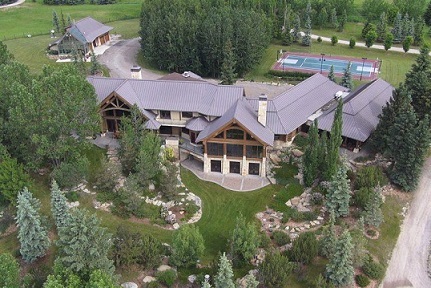 This is just small sample of the country’s priciest homes. To see the rest, check out the original report by Point2Homes, which includes the country’s most expensive listing: A three home package deal that will run you nearly $50 million.